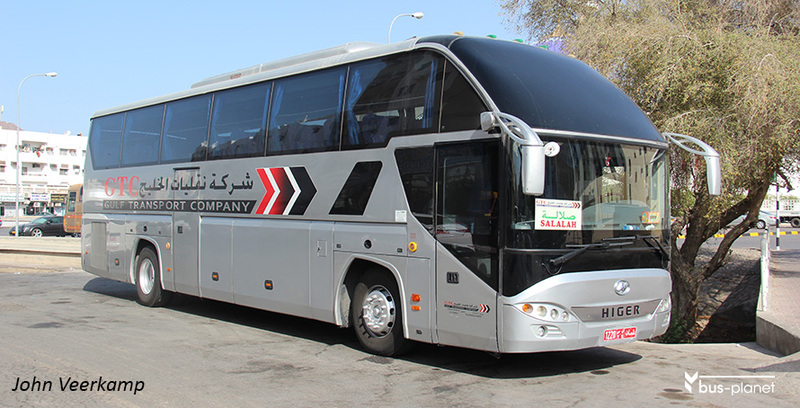 Oman has some 15 coach operators providing connections between the main urban centers along the coast, in the desert and all the way south-west to Salalah, and to the UAE. The larger ones have offices in the centre of Muscat, near Mutrah bus station. Schedules are hard to obtain and web-sites are inexistent for most companies. Calling (or going by the office) is the most effective way to get information. Buses are often full, especially around holidays, and advance bookings are recommended. Among the more important companies GTC (Gulf Transport Company) and GLT (Gulf Line Transport) provide services between Dubai, Muscat, Salalah and Yemen. Desert King serves the desert towns down from Muscat to Salalah. Al Sumri provides mainly transport for oil and gas companies. The other companies focus on the Muscat-Salalah route. The coaches used vary from secondhand rather old secondhand Mercedes O303 to new and modern Chinese coaches. Mwasalat, the government company, also provides coach services and has a number of new top-end Mercedes-Benz Travego coaches, though older ones are also used (see the separate Mwasalat page). South Korean Hyundai coaches are popular with some companies. The only company applying a corporate livery to all its coaches is Al Sumri. The company pages provide more info and pictures of the coaches.